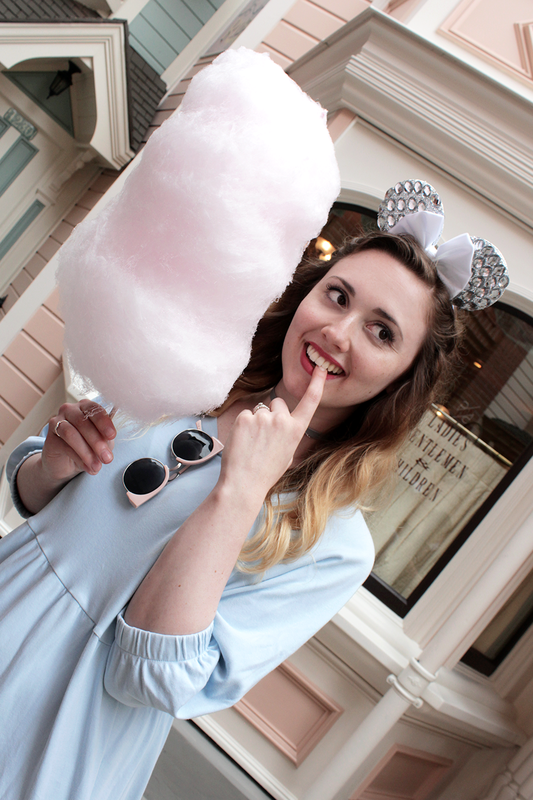 It's been a couple of weeks since we returned from Disneyland, so editing these photos was torture. Grant and I are foodies; we love to make, find and experience delicious food wherever we go. 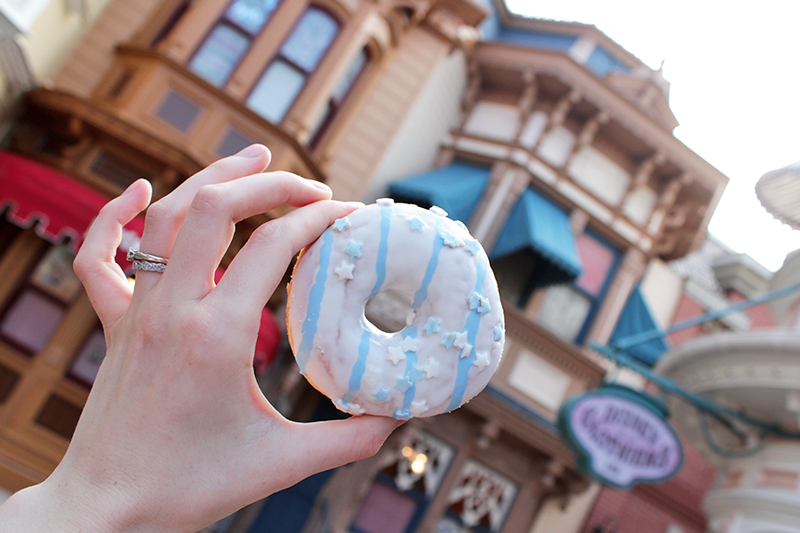 Thankfully at Disneyland we were doing near enough 15 hours in the parks each day, with our step counter figures going through the roof, so we allowed ourselves to indulge in any and all treats we came across. We booked one sit down a meal a day in advance (booking opens 60 days in ahead, and is highly recommended for popular restaurants and character meals), however the rest of our dining was completely unplanned. 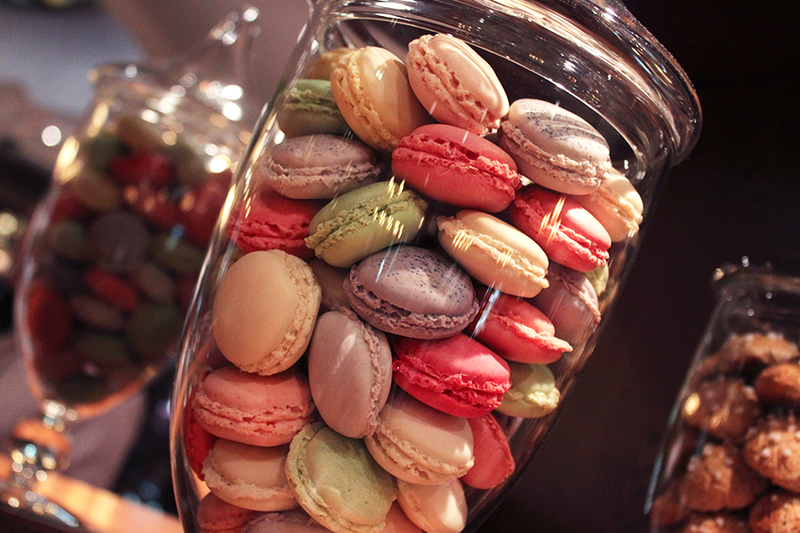 Today I wanted to reflect on some of the gastronomic highlights of our trip. AUBERGE DE CENDRILLON - As mentioned in my previous post, our recent lunch with the princesses at Auberge de Cendrillon was the best meal we have ever had at Disneyland, and probably one of the best we've had as a couple full stop. Not only were the princesses a dream, but the 25th Anniversary menu was wonderful - especially the dessert and the lobster starter (and that's coming from someone who never typically enjoys lobster!). FANTASIA GELATI/GIBSON GIRL - We experienced far warmer weather than had been forecast, so on a couple of occasions we sought out cold treats from these two ice cream vendors. It's Ben & Jerry's ice cream, however they served certain flavours I've never seen here in the UK. 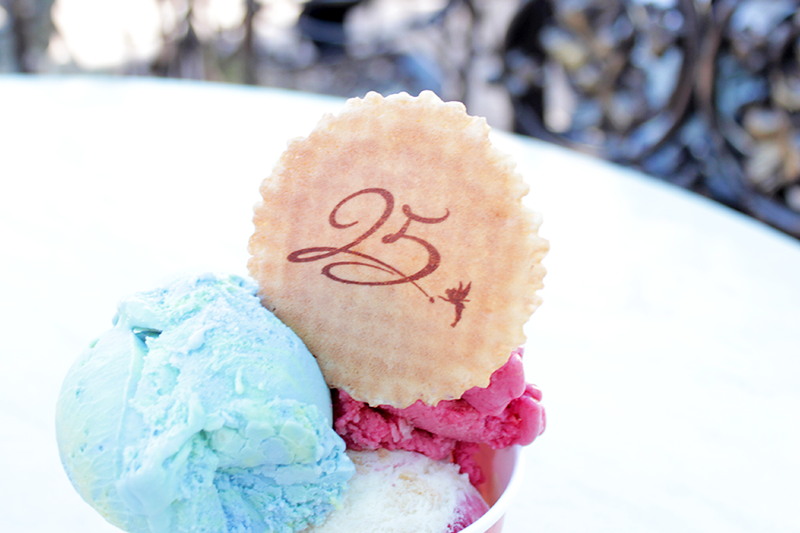 My favourites were the blue 'Fantasia' flavour served at Fantasia Gelati, and the strawberry cheesecake flavour. There were also a bunch of different toppings to chose from. PIZZERIA BELLA NOTTE - We arrived into the parks on our first day shortly after lunch time, and decided we fancied pizza. I really wanted to settle down somewhere around the castle where we could people watch and soak up the atmosphere, so we headed to Pizzeria Bella Notte, a Lady and The Tramp themed counter service restaurant. 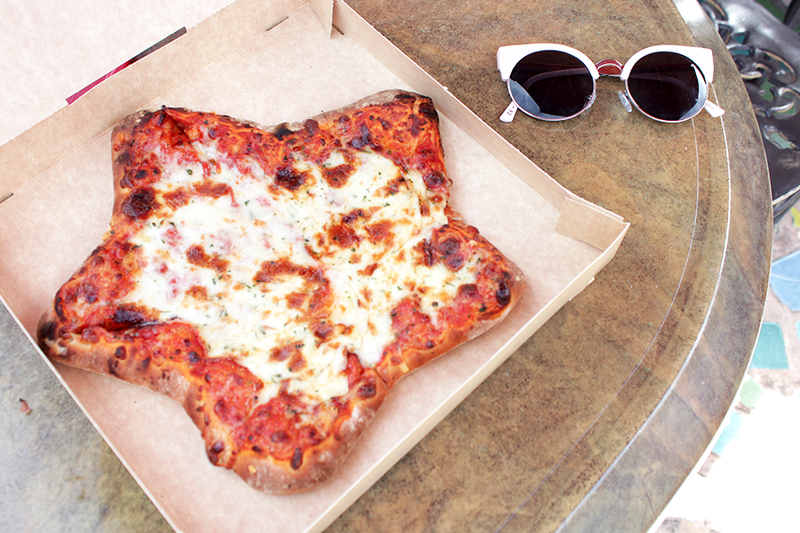 The pizza was simple but fresh and tasty, and shaped as a star for the 25th Anniversary celebrations! 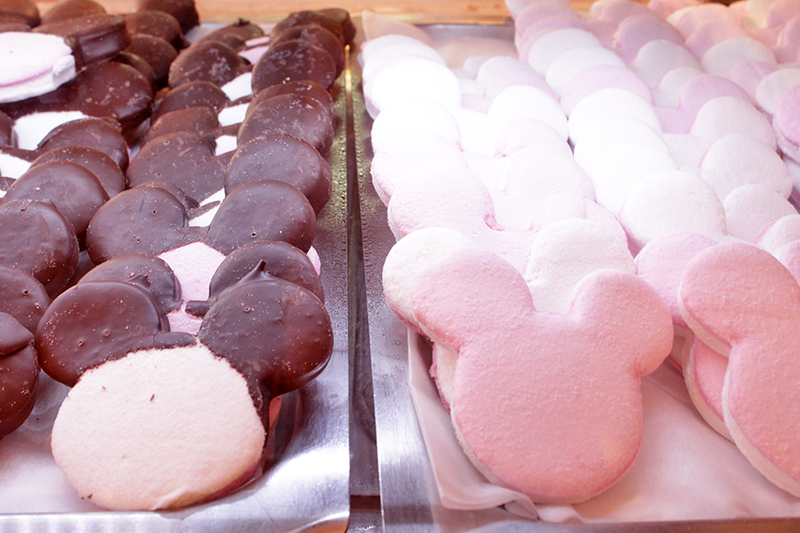 BOARDWALK CANDY PALACE - One of my favourite shops in the entire resort! 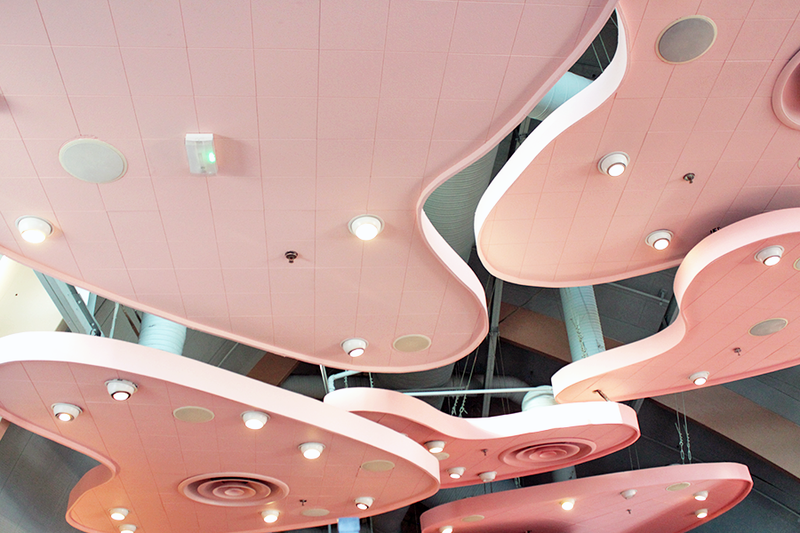 The decor is absolutely beautiful, however it also features a counter where you can buy an array of fudge flavours, biscuits, marshmallows and candy floss. As you can imagine, it smells amazing. 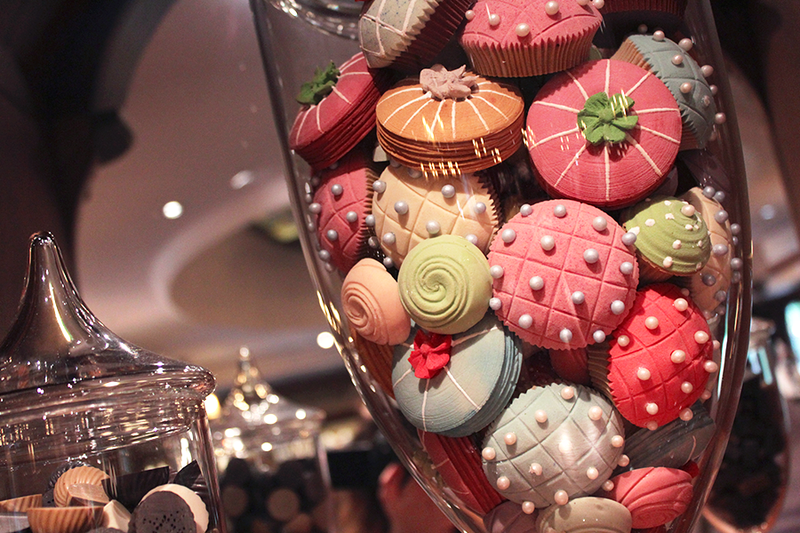 If we were ever in need of a quick sugar fix, this was where we headed. 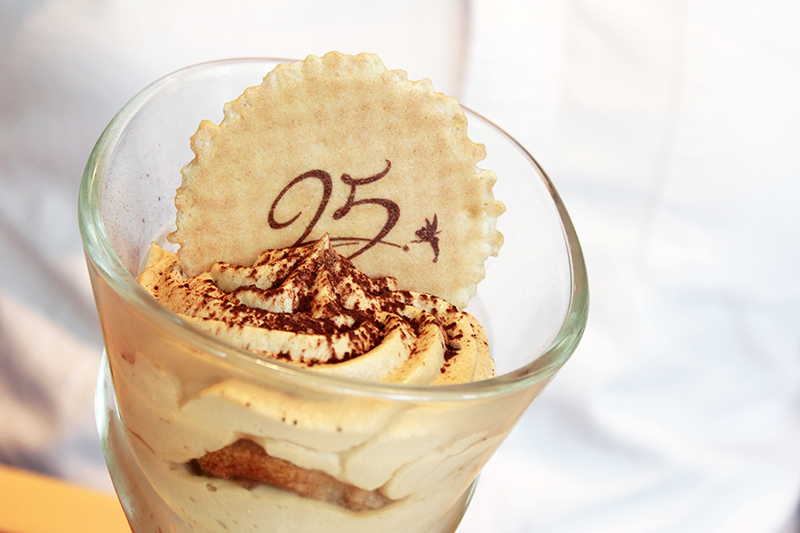 25TH ANNIVERSARY DOUGHNUTS - I was really looking forward to seeing what baked goods would be available as we've always had a tradition of heading to Cable Car Bakehouse towards the end of Extra Magic Hours for refreshments. Unfortunately the Cable Car Bakehouse counter was closed, however the adjoining Cookie Kitchen was open, as was the gorgeously themed seating area. 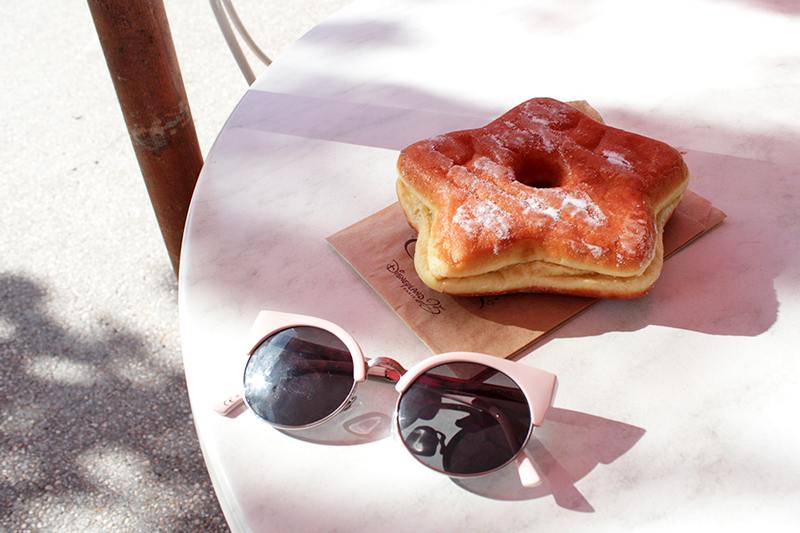 My favourite items on the menu (which also featured on other menus across the park), were the star shaped doughnut and the glazed donut filled with chocolate hazelnut. I ate so many of them, and they always seemed to be warm and fresh. 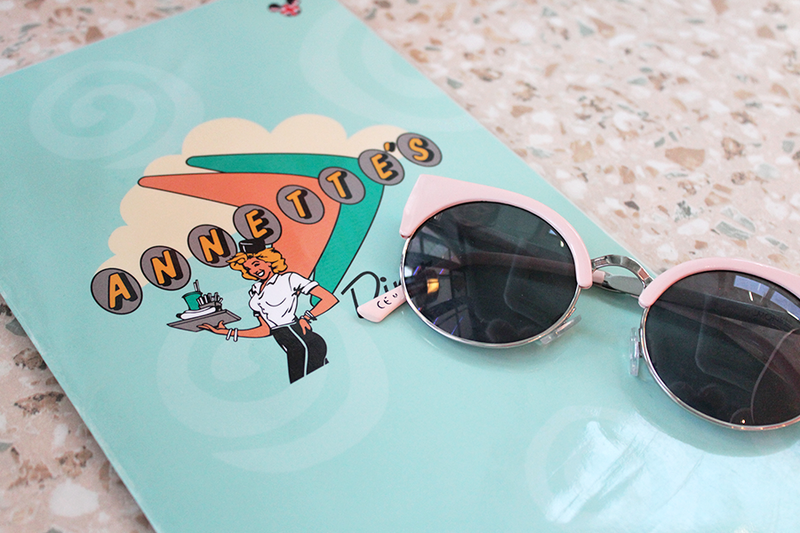 ANNETTE'S DINER - One of our failsafe restaurants, and the highlight of Disney Village. Disney food can get expensive, but at Anette's you get big servings for a reasonable price. 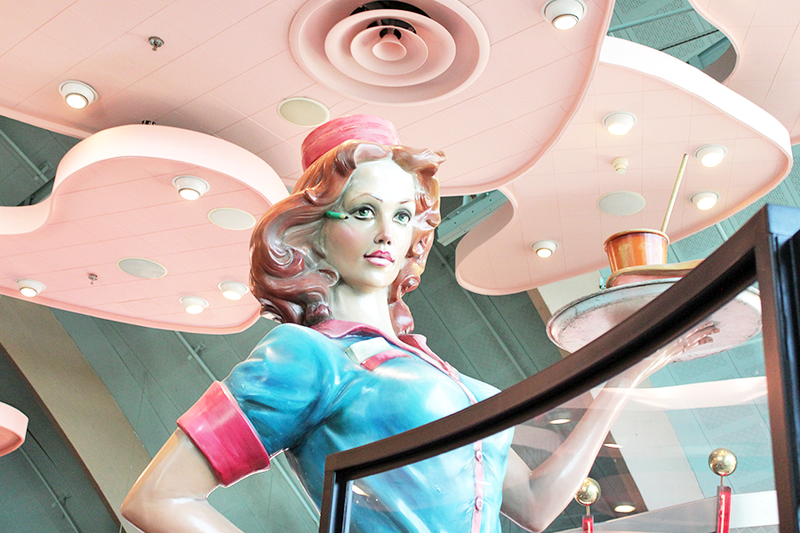 The decor is delightfully retro, with a pastel colour scheme and a giant statue of a rollerskating waitress. The food is pretty much what you'd expect from a diner themed restaurant, however the menu is fairly extensive. I love the onion burger, whilst Grant is a fan of the blue cheese burger. 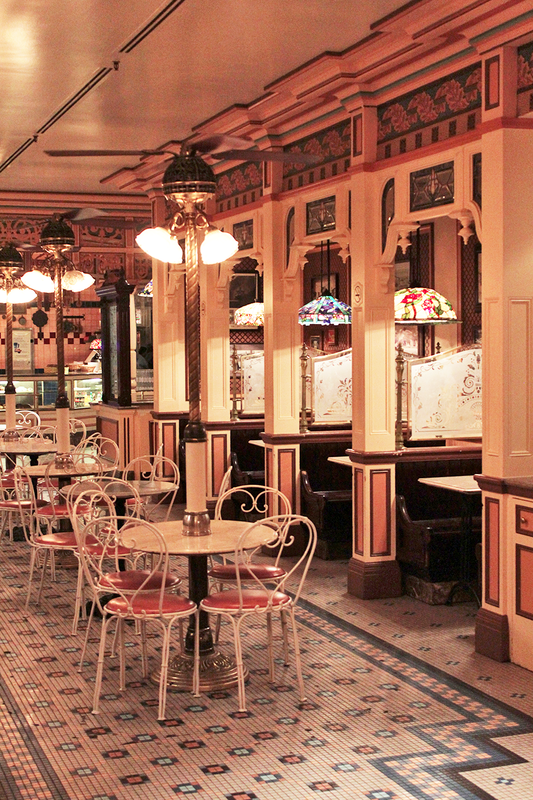 THE LUCKY NUGGET SALOON - Based in Frontierland, this is another place where you get big servings for what you pay. Between us we shared the ribs menu, which came with chips, onion rings, and an ice cream sundae. The decor is what really makes this place a hidden gem - it's designed like an old Western theatre, complete with a stage and the appropriate seating. You place your order at the door, then you're shown to a seat and your food is brought over. GLOWTINIS - A Disney holiday isn't a Disney holiday for me without a daily cocktail, and the queen of cocktails at Disneyland Paris is the Glowtini - a signature cocktail featuring a souvenir glowing ice cube. I had two over the duration of our stay; the first was the 25th Anniversary Glowtini at the New York City Bar in Hotel New York, and the second was the Red Glowtini at Cafe Fantasia in the Disneyland Hotel. I'm a fan of sweet, colourful cocktails, so these never disappoint. 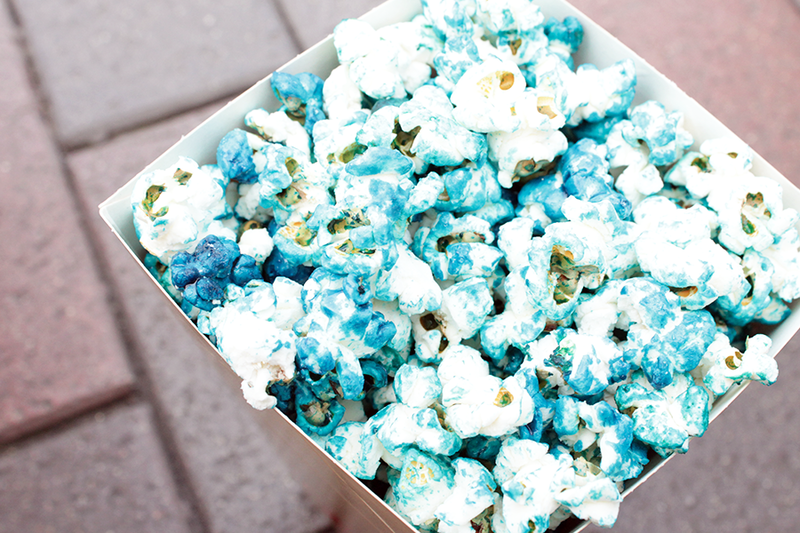 *A final word to the wise, avoid the blue popcorn. It smells far better than it tastes, and although aesthetically pleasing the blue stained our fingers and mouths. Stick to the uncoloured stuff and save yourself the hassle! 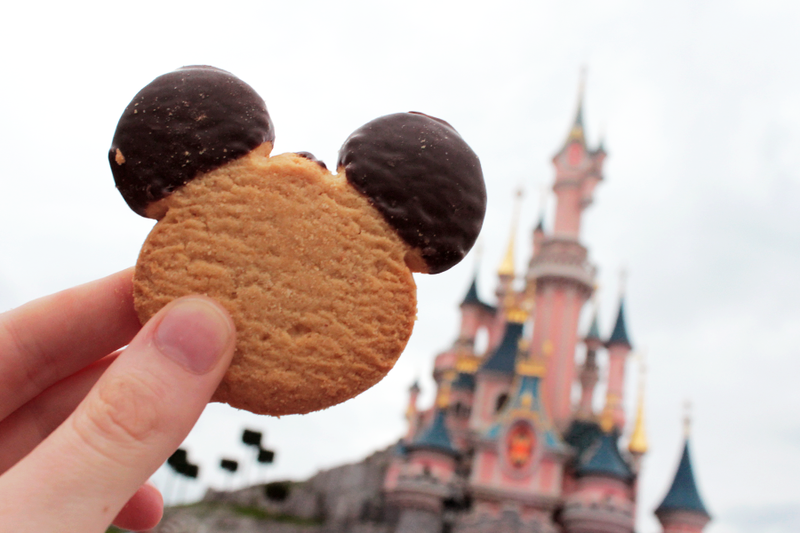 I love this post, food at Disney is one of my favourite things!